Alright, you know we love good restaurants and in search of a new fav, we decided to venture down Highway 288 South to exit 518. We found Grazia Italian Kitchen. This gem, which opened in 2014, is located in a shopping center at 9415 W. Broadway St. in Pearland. 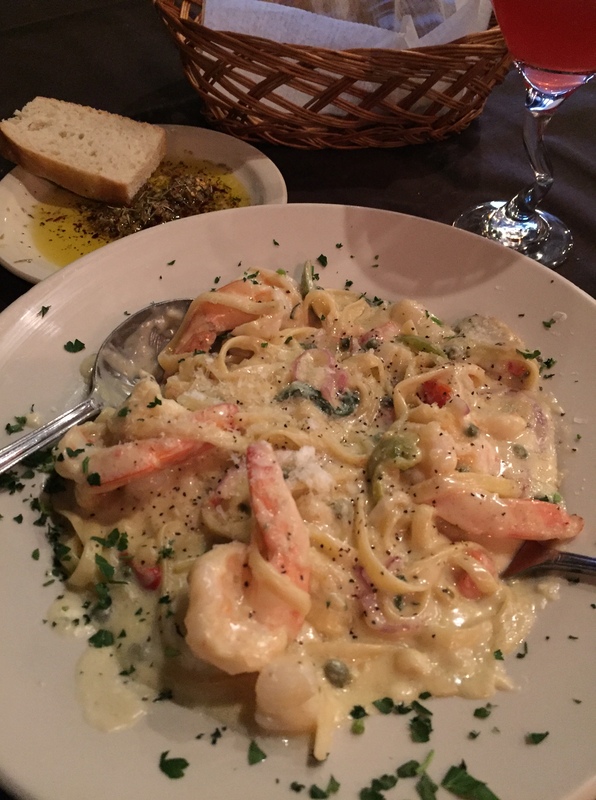 We opted to try the Dal Mare with sautéed shrimp, scallops, garlic, roasted peppers, mushrooms, capers, tomatoes, white wine, romano cream sauce and fettuccine pasta. Needless to say, this dish was delicious. It was chock-full of scallops and big, succulent shrimp – they tasted so fresh! 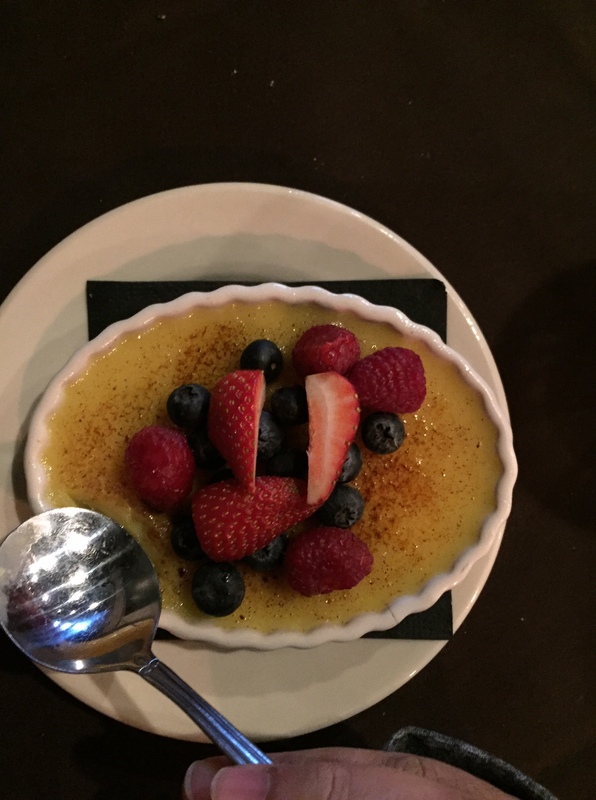 For dessert, we decided on the creme brûlée with fresh berries … a great choice. It was one of the best creme brûlées we’ve had in a long time. Not only was the food great, the service was excellent. Our server was attentive and offered suggestions that had us wanting to order half the items on the menu! For our next visit, we are definitely ordering the award-winning smoked beef short ribs. Also, did we mention Grazia has a brunch menu? 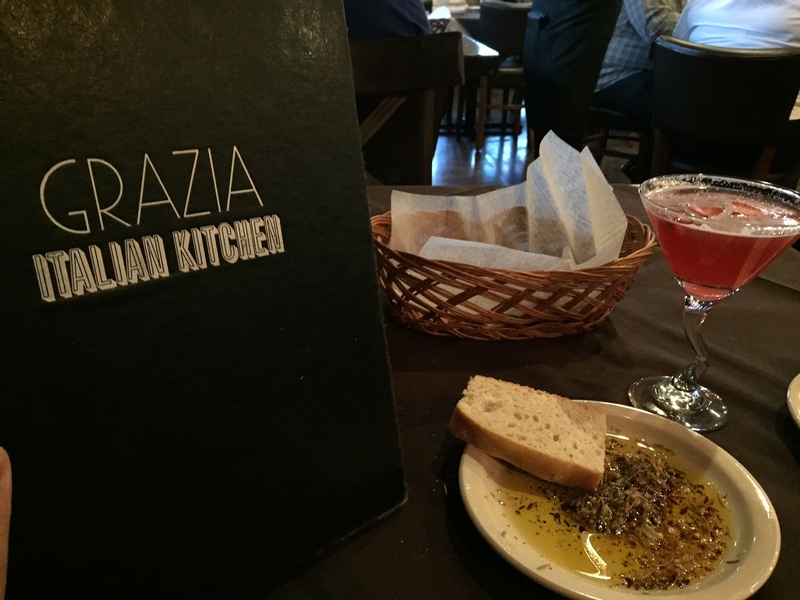 We see a lot of trips to Pearland in our future … and Grazia has a 4-star Yelp rating with a ton of positive reviews. Grazia Italian Kitchen gets the 2 Girls Who Travel seal of approval! To find out more information about Grazia and drool over the full menu, visit www.graziaitaliankitchen.com. You’ll thank you us later!